SAO PAULO.- The Portuguese word Beleza (Beauty) written in large white letters on blue walls in an alley in the Brasilandia neighborhood of Sao Paulo, Brazil, 06 March 2012. The graffiti and painted walls are part of an art project by five Spanish artists, entitled Luz nas Vielas (lit. 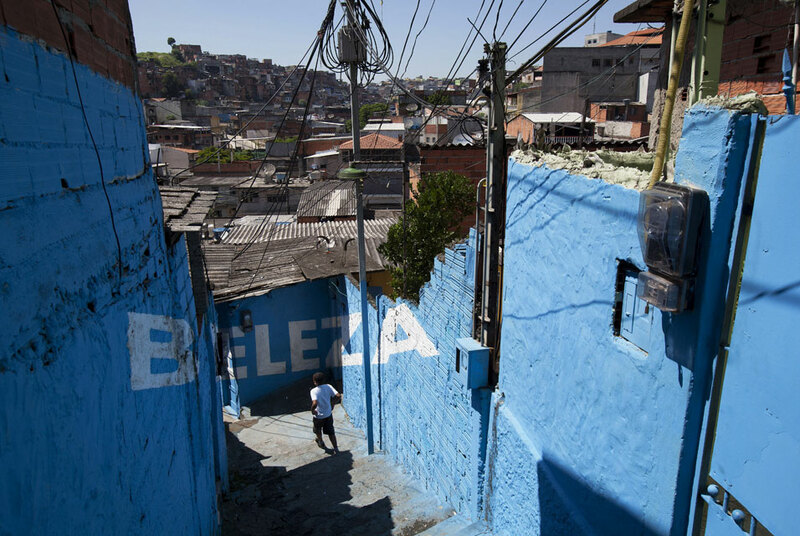 Light in the alleys), which was realized with the inhabitants of Brasilandia, one of the favelas in Sao Paulo. Photo: Sebastiao Moreira/EPA.